REIC - As Vietnam's first property boom crashed around him, American developer Edward Chi kept promising investors their flashy apartments were on track. The businessman even told them he would sell his California properties to pay them back if construction stopped on projects that were heavily marketed by a well-known American real estate company. But Chi ducked out of a tense meeting with the prospective home owners last year and never returned, leaving the rusting foundations of an apartment block and at least 128 angry investors, many who had already put down more than $150,000 from life savings or bank loans. Police say Chi has left the country and is unreachable. Chi was one of scores of developers drawn to Vietnamese property in the late 2000s, when Communist authorities encouraged state-owned banks to hand out easy credit to investors and developers as part of an effort to stimulate the economy, resulting in sharp land price increases. It was a new phenomenon for Vietnam, which only began opening its centrally planned economy in the 1980s. Many of the developers were state-owned enterprises that had no experience in property. Despite hopes of bringing home ownership to the masses, buyers were often speculators, seeking to buy off the plan and realize a quick profit. "Suddenly everyone stopped manufacturing shoes, widgets or whatever and became developers overnight," said Marc Townsend, managing director of the Vietnam unit of CB Richard Ellis Group, a global real estate firm. "And the remains are all around town." As countless other countries have learned, house prices can drop as quickly as they rise. Vietnam's did so with a vengeance in late 2010 as the economy slipped. Prices are down by 50 percent in some parts of the country, and no one is predicting a rebound. Banks are weighed down with bad debt, much of it secured against property, and are reluctant to lend, strangling growth in the once red-hot economy. With half-finished skyscrapers and housing complexes scarring parts of Hanoi and elsewhere, tales of runaway developers are emerging in online forums and in the tightly-controlled media, opening up a new avenue of anger at Communist authorities who oversaw the rampant speculation. "We were cheated and also feel disappointed with authorities, who have shown no sign of investigating the case," said Tran Thanh Hai, who made an initial payment of $180,000 to buy a 210-square meter unit in Chi's flagship Tricon Towers project on the western outskirts of Hanoi. Real estate agents fear other property investors are in for a nasty surprise as inexperienced developers and poorly regulated banks with loans secured against failing projects get squeezed further. The government formed an asset management company to buy the bad debts and take them off bank balance sheets, but few in the industry believe it has sufficient resolve or power to fully address the issue. The banks, many of which are run by politically connected chairmen and shareholders, appear unwilling to take losses, preferring to fudge the extent of their exposure and bet a global economic recovery will lead to asset prices rises. Two years after the crisis became apparent, no bad loans are known to have been sold and there has been no accurate reckoning of the amount of debt in the system. "To make the changes you need to recognize there is a problem and here they don't realize there is a problem," said Sameer Goyal, the financial and private sector coordinator for the World Bank in Vietnam. Chi, an American citizen of Vietnamese descent, was well known in business and investment circles in Hanoi and Ho Chi Minh city before his abrupt departure last year. One real estate agent who knew him said Chi, who is 49 according to his business license, was in insurance before starting his property business. The Associated Press made several efforts to speak to Chi using numbers linked to the California address he used when applying for his business license in Vietnam and via family and former colleagues. All were unsuccessful. The company he formed, Minh Viet, appeared to have little trouble attracting investors when the Hanoi project launched in mid-2009. It touted three "ultramodern" 44-story towers housing 734 units and a handover date of late 2011. They were to be put up on the western outskirts of Hanoi, a district promoted by the government as a new commercial and residential hub. Minh Viet later marketed and took deposits for a second project overlooking Halong Bay, a tourist destination in Northern Vietnam. Construction never began there. Those with doubts over Chi's reliability took heart from his well-known foreign partner. He acquired the Vietnam franchise for Coldwell Banker, and used the American realtor's branding extensively in his projects. Coldwell Banker said it had terminated its deal with Chi in 2012 and declined further comment, citing the police investigation into him. One overseas Vietnamese investor said she trusted the Halong Bay project because of the Coldwell Banker name. She said she also assumed it had the backing of the Vietnamese government, citing the advertisements that appeared in the state-run media. She said that Chi appeared on a video call with his sales teams to close the deal. "I trusted it because of Coldwell Banker' fame, but now they are washing their hands of the project, just the same as the Vietnamese government is doing," said the investor, who gave a single name of Ngoc. 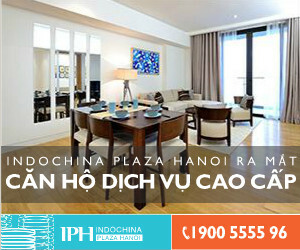 On the slick website promoting the properties, Chi kept up the hard sell even as construction faltered and disputes between Minh Viet and the Vietnamese construction company, Coteccons, emerged. Media reports say Minh Viet owes the company $7.5 million. It declined comment. Nguyen Ngoc Tuan, a 37-year-old engineer, said he paid $180,000 to Minh Viet, $80,000 from savings and the rest a bank loan from a local lender. He used the contract signed with Minh Viet as collateral for the loan. He now rents a house, and plans to default on the loan. "The salaries of my wife and I are not enough to pay bank interest," he said. "I have asked the bank to freeze the loan, but they did not agree. In the future, I don't intend to pay interest because we just don't have enough to feed our family." A Vietnamese police officer said the force was investigating Chi after investors had filed complaints, but that he left the country last year. He didn't give his name because he was not authorized to speak to the media. It is unclear how far any probe has got. The AP spoke with two of Chi's colleagues at Coldwell Banker who remained in Vietnam. Both said they had not been contacted by police. Tran Thanh Hai, the investor, said in a meeting on July 12 last year, Chi promised to pay back customers by selling his houses in California if needed. He and others have been trying to trace Chi, but have discovered only more apparent deception. "We checked later on the Internet, that house was sold several times since 2006 and the last owner was not Edward Chi." These days, the once-gleaming showroom for Tricon Towers has been abandoned, a torn signboard blowing in the wind. Rusting steel poles and an expanse of concrete are the only signs of Chi's ambitions. On a nearby street once lined with real estate agents, only one remains. Nguyen Tuan Loi said that at the peak of the boom in 2010, months after Tricon launched, he was flipping houses just four days after buying them. Now, he says he is lucky to get one transaction a month, and has had to trade his car for a motorbike.